Thanks mat; it solved my problem! 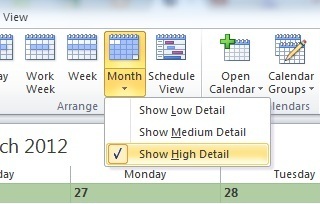 Very informative post, I could find my missing calendar easily by the help of above steps. sometimes, check if the user has multiple calendars, the wrong calendar may be checked. Yeh! Thanks for that. problem solved. Hooray! I was almost going to download and re-install Outlook. Thank you, thank you for saving me so much trouble. After 2 days of trying to figure out on my own, I finally decided to pose the question. This has been most helpful....thank you! Oh Thank you! Fixed my problem as well! Danged if it didn't solve the problem. Very helpful, thank you. Thank you! I had to click through them all twice, but it finally worked. This was driving me crazy. thanks ! i can see my meetings now !! i still cant see my bos's details in her calendar evetho calendar hv been shared.the IT people said that they need to check on my bos outlook whether any steps missing causing me cant view my bos's calendar. That was the easiest fix I have ever seen! Thanks so much. I appreciate it. oh wow.... I was going insane! Thank you!! Thanks SOOOO Much. This was driving Me CRAZY! I was getting the reminders and could see them in the task list but could not see them on the calendar. I had to change it to low and back to high before mine showed. Thanks again for sharing this with everyone! Wow you have no idea how helpful this post is. Thanks a mil, saved me stress and the possibility of re-installing out-look. I was going insane trying every option available at Outlook. This was a quick fix. Keep the good work! Thanks for that. I had to go through the sequence: low, medium, high detail as it wouldn't let me go directly to high. Couldn't get a sensible answer on the official outlook forum either! Thank you. You bailed me out of a potentially nasty situation. I can breath now. Great. Worked a treat! Thank you. -- In Month View, Low detail only shows meetings that are all day events. -- In Month View, Medium detail shows different thickness of lines to show how “full” a day is of meetings with a line at noon as a reference. This made me look hero to the President of my company. thanks! I was having a related problem and came to this page. User was saying his meeting invites (irrespective of day/work week/month view) was not able to see the subject of the meeting in a particular resource mailbox. In place of subject, Organizer name would be there and other details would be missing. 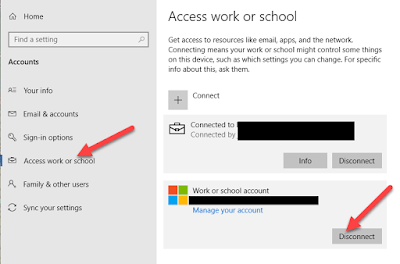 I tried to give "Reviewer" access to the "Default" on the calendar of the resource mailbox , so that everyone could see subject/location/Sender details. This was done both by EMC and powershell but still no luck. Finally found in Exchange properties of that particular mailbox, under the "Resouce information Tab" the following were selected. 2.Add organizer name to subject. This helped, but I still have a question. When I create meetings for my boss, I include her as an invitee, which initiates an email to her, which she then accepts, but the appointment shows up on a different calendar. She has three calendars listed under her 'my calendar' and my invitations / appmts show up under her 'email' calendar. so she has to have both calendars open to see the appmts she creates and the ones I create. how do I get my appmts to show up on her 'outlook' calendar. I hope this makes sense. My rpoblem sorted now thanks to this post! Very helpful thanks so much. Concise and to the point! Thank you - I was going crazy trying to figure out why my appointments showed up on my manager's calendar but not my own! Finally found the right answer and so simple. Thanks so much!!! Thanks, your well documented solution solved the problem for me. Thanks for taking the time and effort to post this solution. Very helpful, that solved my problem. Thank you! Awesome! Thank you for sharing, this was a big help today. Thank you! This solved my problem also.